Owning an iPad is one thing and then to protect it from the irksome hands of children and people with malicious intentions is a completely different thing. Or, sometimes it might just be your own memory malfunction that eventually leads to the dreaded Forgot iPad Password error. Apple officially proclaims that the Forgot iPad Password and the iPad disabled error thereof is a direct result of someone tapping in the wrong password more than 6 times consecutively. This builds up into a huge problem as you are not then able to access your iPad directly until you take some proper measures. 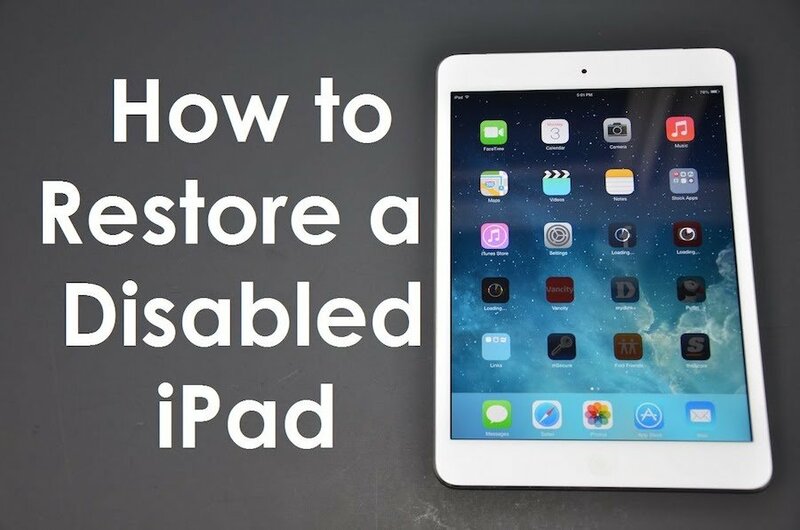 And that is exactly where this post comes in, in the following sections we are going to show you, step-by-step and comprehensively how to revert your iPad from iPad disabled error that usually appears when you Forget your Password. OK! Here is the blunt truth without beating around the bush, if you haven’t backed up your iPad through iTunes when it was working fine without a Passcode (Or the Passcode you remembered) then there is no way to get in without losing all the data. For people who are smart and lucky enough to have done a backup of their iPad on the iTunes, the next section is going to be a breather. 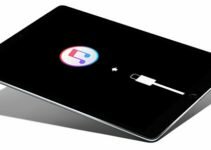 Follow the steps mentioned in the next section of this to sync your iPad to iTunes and then remove the Passcode and fix your iPad without formatting. Step 1: Connect your iPad to the PC or Mac you previously connected it with and made a backup on. Step 2: Open iTunes, and if you are lucky, the iTunes won’t ask for a password to access your iPad. In case it does, you can try the same method on a different computer your previously synced your iPad with or you could always use the fail-safe recovery mode method (Formats all the data). Step 3: You will then need to wait for iTunes to sync your device, once that is done make a backup of your iPad. Step 4: Once the iTunes is done with syncing and backing up your iPad, you can press the Restore button to begin the process. Step 5: You will then be prompted to choose the method of restoration in the next Set Up Screen, to restore your iPad to the perfectly working condition, you will, therefore, need to choose the option ‘Restore from iTunes Backup’. Step 6: Finally, you will have to choose the most relevant backup file (Most recent or the one you know was working properly, also take size and date into consideration). This will restore your device to working condition and will also remove the iPad disabled error caused by forgetting your iPad password. Some of us don’t have access to a computer all the time, or might not even have a personal computer, does that mean that you can’t fix iPad disabled error caused by forgetting password? The answer is a sad ‘No’. We searched the internet for hours to find the solution for this problem without having to chip in a computer but without any luck. So, the best way to do this, as the Apple Official website itself mentions is to boot your iPad in recovery mode on a PC of your friend or family. Step 1. Install iTunes on the new PC you have borrowed. Step 2. Open iTunes on the PC and Force restart your iPad. Step 3. To Force Restart your iPad, you need to Press and Hold the Home and the Power buttons at the same time and keep holding them until you see the recovery mode appear on your iPad. The recovery mode is represented by an image of a Charger and iTunes on your iPad. Step 4. You will be presented with two options on iTunes, Restore or Update, and you will need to choose the Restore option. Step 5. iTunes will start downloading software for your device and this might take more than 15 minutes, when it is all done, you will need to repeat Step 3 and 4 a second time. Step 6. 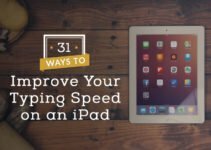 Wait for the process to finish completely and as soon as everything is done, you can set up your iPad from scratch to get a brand new, entirely formatted device. 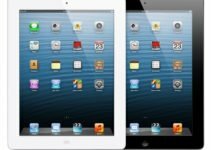 Now, that you have fixed your iPad and gotten rid of the iPad Disabled error, you might want to reset the entire device just to give everything a fresh start. To do this, you can follow the instructions listed in the next section of this post that will enable you to reset your iPad. Step 1: Go to the Home Screen and locate the Settings App. Step 2: Go to General > Reset > Reset All settings. All your preferences and setting will be reset without actually deleting all your data and apps. The last section is a little hack you can use that calls for some ninja skills to employ but if done correctly can help you fix this iPad disabled error caused by Forgetting iPad Password without having to reset your iPad entirely. Note: This method will only work on computers that you have already backed up your iPad on. Open iTunes while your iPad is disconnected with the computer. Now connect your iPad to the computer and wait for it to show up on the iTunes under Devices section. Click on the iPad name as it appears on the iTunes and you will be presented with two options, restore as a backup or setup as a new iPad (because it is locked). Click ‘Setup as new iPad’ and then click Restore. This will prompt the iTunes to start backing up your device before fully restoring and syncing it. Here is where it gets a little tricky and needs quick action on your part, Cancel the Backup Immediately, this can be done by clicking the small cross (x) (Red Button) located at the corner of the iTunes status window. When the backup cancels, the iTunes will automatically start syncing, you will have to Cancel this too, by clicking on the same cross (x) located at the corner of the status window. If you do this process correctly, you should be able to remove passcode from your iPad without resetting or formatting all the data from the iPad. If you have any problems with this post or its content, feel free to reach to us anytime.